Apple (AAPL) is officially no longer the market's darling. Apple's stock dropped more than 3% Wednesday and is now in bear market territory. Shares are 20% below their all-time-high of $705 hit in mid-September. The recent pullback is a sharp turnaround from earlier this year, when Apple's stock was on a seemingly endless flight higher. At its peak, Apple's stock was up nearly 75% for the year. Now shares are up just 38% in 2012. Of course, that's still a good run for most companies ... but Apple isn't most companies. Apple has managed to spook the market recently despite generating record sales of its new iPads. And while consumers have flocked to the latest iteration of Apple's tablet, reviews from critics have been decidedly more mixed. The company also announced a major shakeup in its executive ranks last week, which worried investors. Apple still remains the most valuable company in the world with a market cap of nearly $528 billion. Yet even at that valuation, Apple's stock is relatively cheap compared to some of its tech rivals. Apple's shares currently trade at 11 times projected 2013 revenues. That's far below Google (GOOG), which trades at 17 times its projected 2013 earnings, and slightly above Microsoft (MSFT) which trades at 10 times its expected earnings next year. Facebook's (FB) stock, even at roughly half of its IPO price, trades at nearly 40 times its estimated 2013 earnings. Apple holds a pristine balance sheet with roughly $121 billion of cash on hand and no debt. 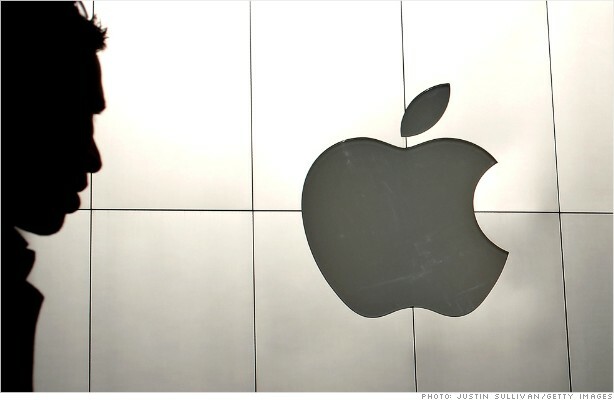 Earlier this year, Apple decided to initiate its first dividend since 1995. Shareholders could continue to get more of that cash back. While the company missed earnings expectations in its most recent quarter, the pace of sales growth there remains torrid.